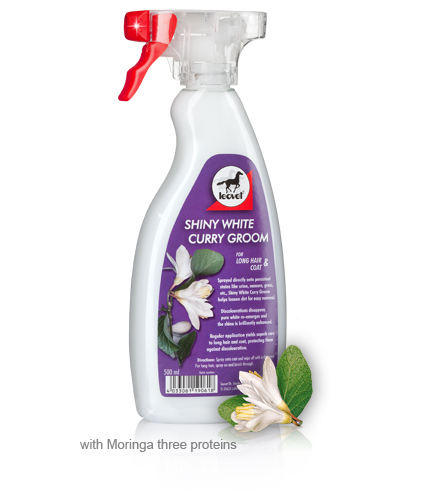 Sprayed directly onto persistent stains like urine, manure, grass, etc., Shiny White Curry Groom helps loosen stains for easy removal. Discolourations disappear, pure white re-emerges and the shine is brilliantly enhanced. 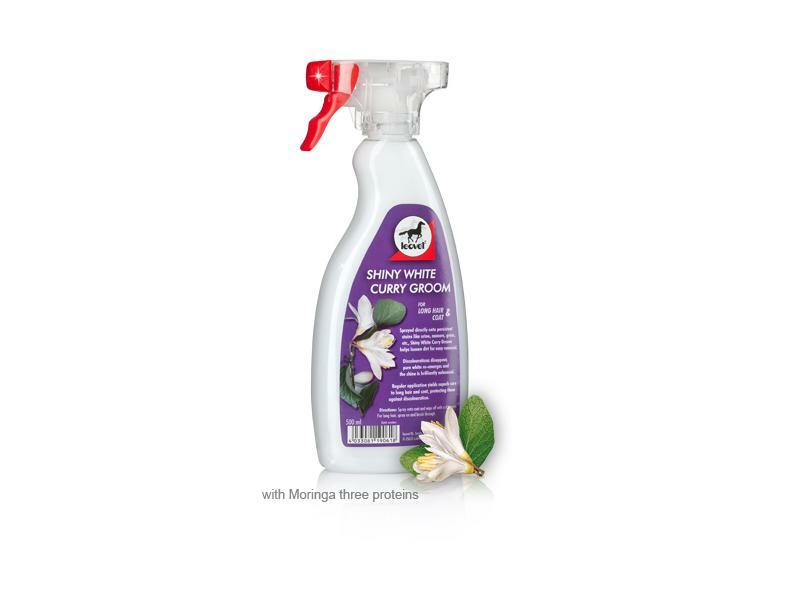 A combination of natural proteins from the Moringa tree prevent new deposits of dirt particles and discolouration. There are currently no questions for Leovet Shiny White Curry Groom - be the first to ask one!